Despite what seems like the best efforts of the Nigerian National Petroleum Corporation (NNPC) to end the protracted petrol scarcity in the country, the fuel supply situation may worsen as the price has hit N165 per litre at the depots, against the official price of N133.28. According to ThisDay investigation, this is coming as two petrol vessels imported by the NNPC discharged simultaneously in Lagos at the weekend. 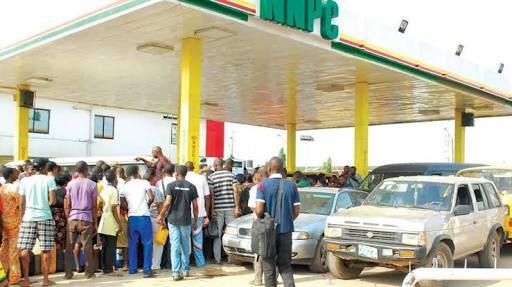 Petrol scarcity, which had marred the Christmas and New Year celebrations, has persisted despite the efforts of the NNPC to successfully perform the onerous task of meeting the country’s fuel need, following the refusal of the private marketers to import on account of unsustainability of the official pricing regime. A market survey conducted by ThisDay showed that only seven out of over 30 depots had stock of petrol at the weekend. The depots include Folawiyo, Fatgbems, Aiteo, Bovas, Heyden, Rainoil/First Royal and NIPCO. However, the major marketers had stock of NNPC’s petrol, which the corporation was dispensing to only the major marketers’ dealers and their branded filling stations at official price. It was gathered that the petrol in these depots belong to the NNPC under throughput arrangement with these depot owners. Worried that the petrol it imported and allocated to marketers did not get to retail outlets and motorists at official price, the NNPC had since stopped allocating product to marketers and resorted to throughput arrangement with selected marketing firms to have effective control of supply and distribution. However, to address the challenges, two vessels imported by the NNPC discharged simultaneously in Apapa at the weekend.